Bailey's irish cream & coffee fudge! I adore fudge. I don’t make it often, because I do try to watch my weight, but during November and December I indulge in it. 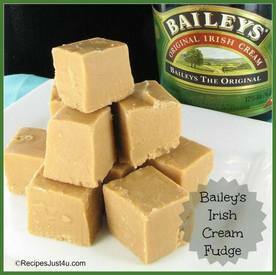 This recipe for Bailey’s Irish Cream & Coffee fudge is as tasty as it is easy to make. What a nice gift this would make!